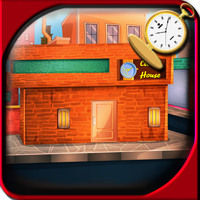 Description: 1971st-THE WATCH GALLERY is an new escape game developed by ENA Game Studio. Presume a situation there was a robbery in a museum, 20 objects were stolen. Bruter went to his friend's watch shop to find an object which was stolen in a museum. Now you have to help Bruter to find an object as soon as possible.Good luck and best wishes from escape games.